The Fall Fundraiser is great for the whole family. Come early with the kids for fresh (kid-pressed) apple cider, games, and a farm tour; or stop by later for dinner, local wine, craft brews, live music, and a great array of silent auction items. We will have local food, great folks, and beautiful scenery to be enjoyed all night. All proceeds from the evening will go directly into funding for children’s education programming. 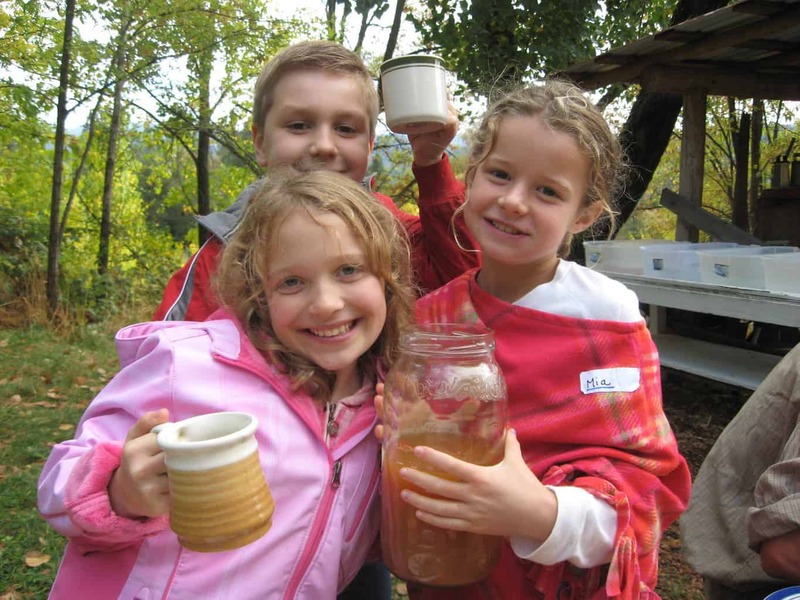 Help bring kids to camp and classes out to the farm to learn about organic farming, animal husbandry, natural building, sustainable living, land stewardship, teamwork, cooking, nutrition and so very much more. Bring your check book or cash, because every dollar you spend will improve and enrich the lives of local children. Invite friends and loved ones, bring the whole family, and spread the word. Together we can make a difference in the lives of local kids!